Fall is here and we look forward to seeing how the Lord will work in this season! It is so good to have cooler temps, and to enjoy meeting together weekly with our precious church family, BFF. Although it is much cooler, we are so cram packed we still have to use the air conditioner when we start praise time. Leaving the windows open, 30-35 or more people singing to Jesus at the top of their lungs would certainly be a nuisance to our neighbors. So we close all the windows after dinner, turn on the a/c and worship our hearts out!!! Praising God for the group that gathers to worship with us every week! Near the end of August we faced a new experience in ministry and friendship. A nearby pastor and his wife whom we are dear friends with and often partner in ministry with, were expecting their first little daughter. We were not expecting the message on the morning of her birth that said, "The baby has no heartbeat." Totally unexplained and unexpected, sometime in the previous days little Chanter went to be with Jesus. We stayed by our dear friends' sides as they had to experience the normal labor process, and then plan a "Goodbye Service". I have to tell you all that it has been absolutely breathtaking to watch this couple glorify Jesus through it all. Chanter's Goodbye Service was attended by more than 120 people, many of whom are unbelievers involved in the various ministries of this couple's outreach. The Gospel was clearly proclaimed on that day and has continued to be proclaimed through her precious mom and dad as they walk this road of grief and healing. 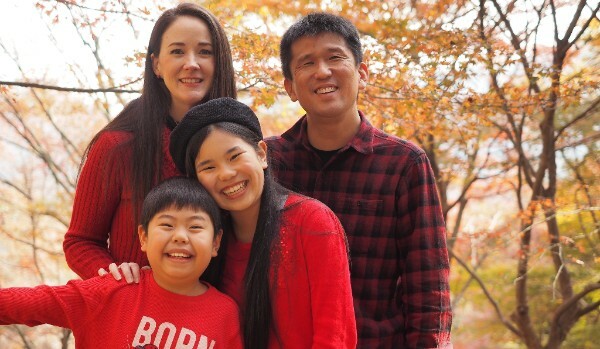 Would you lift up our friends Ken and Kaori, as they continue to receive comfort from the Lord (and family and friends)? Would you also continue to pray that the testimony of Chanter (French for "song" and in Japanese meaning "beautiful worship") would continue to point people to the Savior and hope of our salvation! Fall is the time of year that many Japanese churches have special evangelical outreach events. We are often invited as the music guests so our Sundays are full with concerts here and there. Would you pray in this time, as we share the Gospel in each place we go that the Lord would draw new believers into the Kingdom? AND that he would bring about revival and change in the hearts of believers who are needing to renew the commitment to their faith? We are hosting our own special concert next month. There will be various artists at a Gospel Alive Concert in November. Would you pray that as our BFF family invites friends and contacts, that many will respond and on this day they'll understand the truth found in Jesus! Also, pray for BFF kids who will be performing praise songs during the event. As they practice and prepare, would you pray that the Lord would use it to draw each of them deeper into their walk with Him? Pray that they will understand truly what it means to worship Jesus with their whole lives and not just through song!!! December always brings tons of opportunities to share about Jesus. Our After Schook Klub (ASK) will have a special Christmas party. BFF will do special things during the month. And Rocky and I have concerts with other churches. Christmas is celebrated commercially here, so it is the best time to bring up the real reason we celebrate. May the gift of our Savior find its way into many new hearts this year!!! Would you pray for the church in Japan! We have become painfully aware through different circumstances these past few months of just HOW much the church in Japan needs revival and it is heavy on our hearts. Many are populated mostly with people over the age of 60 and are clinging to tradition. Very few young people are being reached and welcomed. 89% of pastors in Japan are over 50 which means there will be a crisis of pastor-less churches within the next 20 years as pastors retire and there are none to take their place. Of the current pastors we know, many are overburdened with tasks that do not lead to evangelism of the lost, stressed to the limits of their mental health with issues inside the church, and some are being treated in ways that are not biblical and is in no way honoring God. In a culture where EVERYTHING is based around seniority, these older churches find it impossible to "follow" a young pastor's leadership and thus the church/pastor relationships are often not positive. Pray for revival IN the church, for followers of Jesus and not tradition, for eyes opened to the lost nation outside the building, for a yearning to know the Word and walk in it's truth, for an understanding of what worship really is and a letting go of empty ceremony, for an uprising of lay leaders who will come alongside the pastor and do ministry without hesitation, for a new "culture" inside the body that does not follow the cultural rules which hold back the church in its ministry, for true repentance and heart transformation, for the love of Jesus to fill people so fully it overflows, for CHANGE? Would you pray for a movement of the Holy Spirit in Japan! ?